for the ultimate bathing experience! 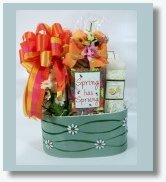 Pretty bath and body gift to help soothe and relax! 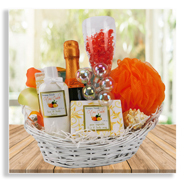 Everything about this basket exudes relaxation! Synthetic free products scented with only pure essential oils of lavender, lemon and sweet orange for a complete bath and body experience. 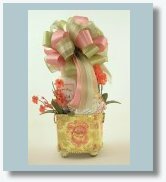 These aromatherapy fragrances are reminiscent of warm summer evenings spent in your flowering garden.